February 2019: I like to vary my work to keep things interesting. Sometimes I'm writing, sometimes I'm doing layout or webdesign, sometimes I'm taking photographs, and sometimes I'm stitching a cushion from an original design for a craft magazine. 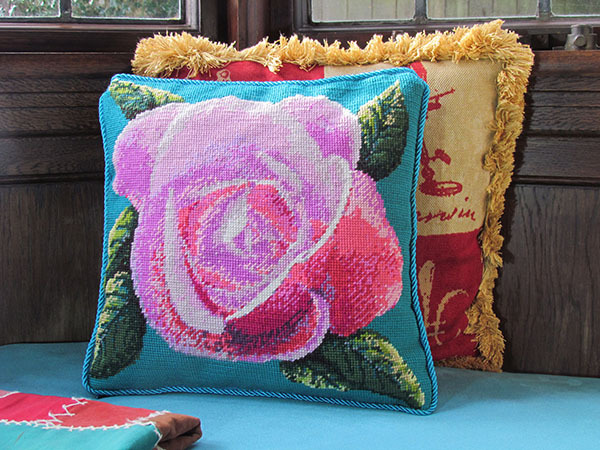 Queen Elizabeth rose cushion, designed by Louise Thomas and stiched in Anchor tapestry wool. The pattern, the cushion, and an article featured in UK magazine "Creative with Workbox" January/February 2016 issue. Photo: Louise Thomas. 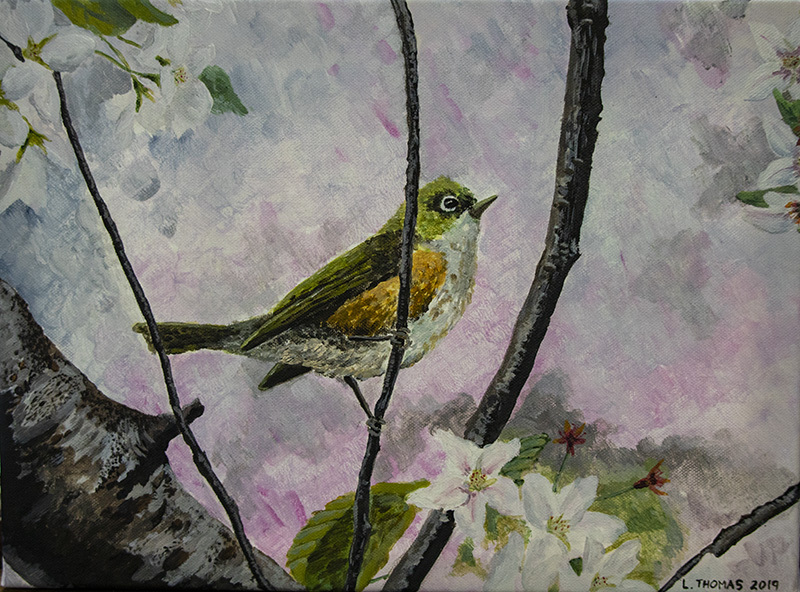 March 2019: Painted for Week 12 in the Art of Birding Challenge. Wax-eye in acrylic on canvas. January 2019: Overhaul of the Centre for Minerals and Environmental Research (CMER) website to make it mobile friendly. October 2018: Design of a promotional layout for the 2019 Intelligent & Informed CAADRIA conference. Can be seen on the Building Better Homes, Towns and Cities website. 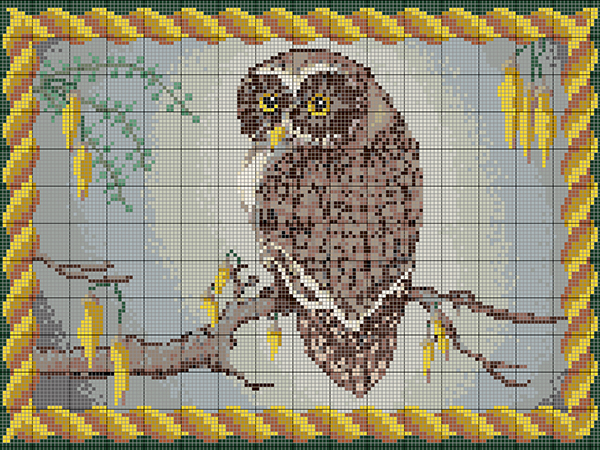 September 2018: A new needlepoint design for a footstool. New Zealand's native owl the Ruru or Morepork (Ninox novaeseelandiae). A feather sketch in black ink. December 2018: Writing, editing, and layout of a newsletter for the Independent Research Association of New Zealand. A quarterly round-up of research from New Zealand's independent research organisations. November 2018: Editing and layout of Climate Change: The Cascade Effect report by Dr Judy Lawrence et al., of Victoria University, for the Deep South National Science Challenge. November 2018: The latest Building Better Newsletter for the Building Better Homes, Towns and Cities National Science Challenge is out now. Read the latest research on how to improve our built environments. I write, edit, and design this newsletter for the Building Better Homes, Towns and Cities National Science Challenge. August 2018: Redesign of the website for the Independent Research Association of New Zealand, with ongoing design, maintainance, and content creation. 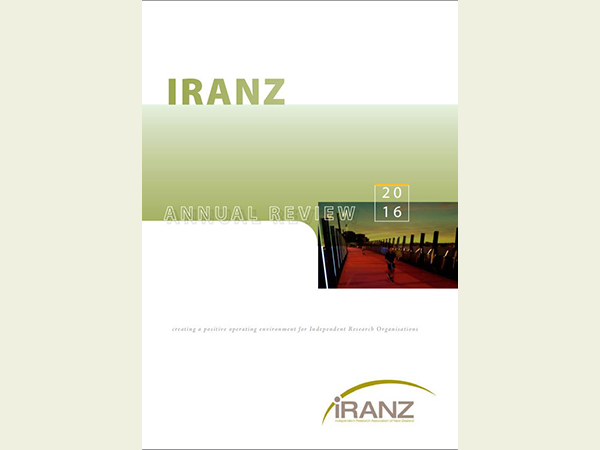 November 2016: The Research Review highlights how IRANZ Independent Research Organisations (IROs) are a vital and unique part of New Zealand’s science ecosystem, they are all different and they are a great way of enabling New Zealand to increase high-impact research by business, economic sectors, and the community. 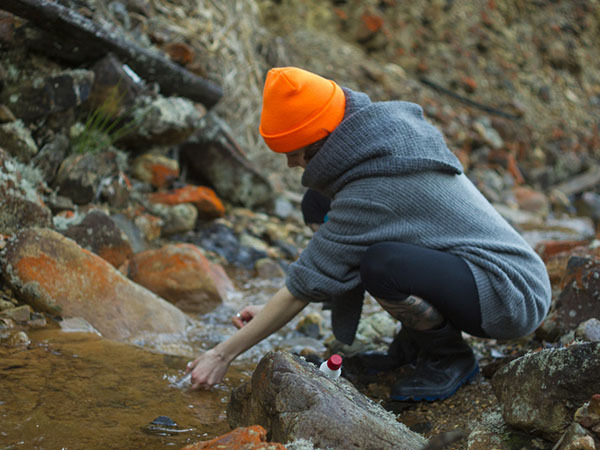 IROs consistently provide quality science outputs that provide high-impact results for their stakeholders and New Zealand, several examples are featured in the Annual Review. The Research Review also gives key information on each of the IRANZ IROs. Don't have time to faff around in Illustrator drawing your own atoms? I can help. 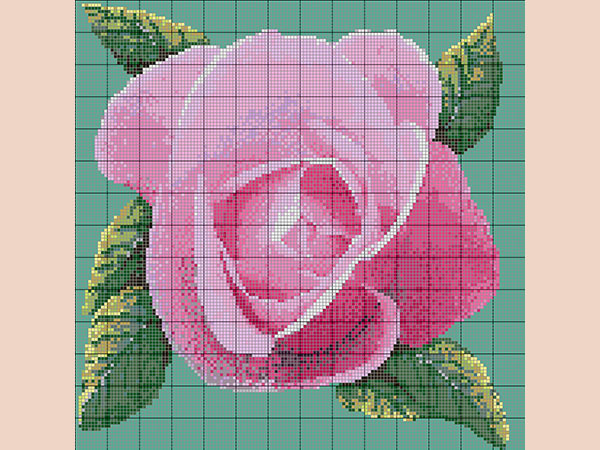 A new needlepoint pattern of a Queen Elizabeth rose for a cushion. The pattern and an article featured in a UK magazine, Creative with Workbox. Annual research reviews, including layout of financial statements for CRL Energy. Ceased after the research company was sold into private ownership.